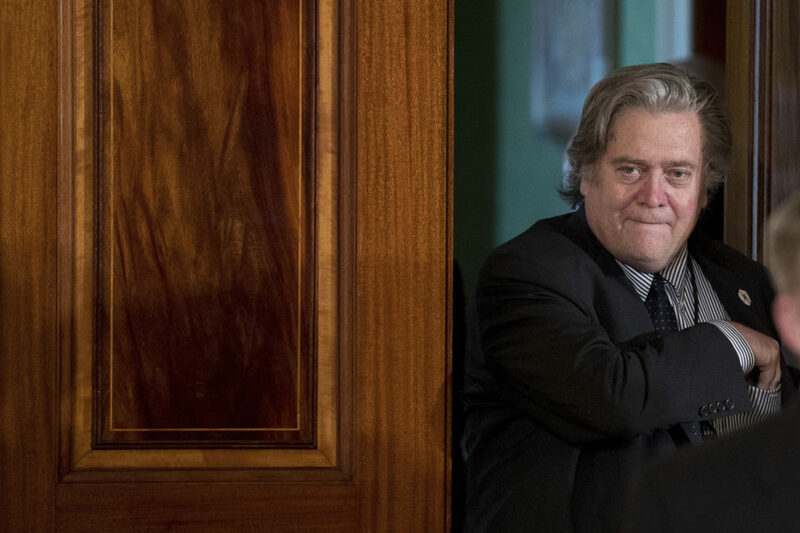 President Donald Trump's White House Senior Adviser Steve Bannon arrives before a news conference. The Center for Public Integrity first became aware of Preate’s role after sending an email to White House Deputy Press Secretary Lindsay Walters with questions about misreported debts on Bannon’s personal financial disclosure. The debts were spotted by reporters and volunteers for #CitizenSleuth, a project launched last month by the Center for Public Integrity and Reveal from the Center for Investigative Reporting. The crowd-sourced investigation is examining detailed financial disclosures from more than 400 top Trump administration officials and nominees, including nearly 190 who reported owing someone money — from student loans to mortgages to credit card debt. Minutes after the Center for Public Integrity emailed the White House Press Office, Walters replied to say she was “working to get you a response.” Walters copied Julia Hahn, a White House deputy policy strategist and former Breitbart reporter who works closely with Bannon. Indeed, the struggles of the Trump White House to coordinate an effective communications strategy have been monumental.